Fans of Pinkie Pie - show your love! This My Little Pony Friendship is Magic Pinkie Pie Bracelet is the perfect thing to show off your spirit for the My Little Pony: Friendship is Magic animated TV show. 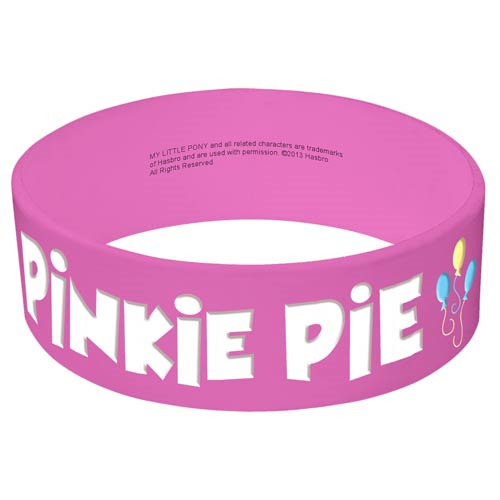 Colored pink and with Pinkie Pie's cutie mark of balloons, this debossed rubber bracelet is great, and so stylish too! Ages 8 and up.